Yes…I can focus on the negative aspects of divorce but why would I even want to desire to do so? That’s just stupid in my opinion. And stupidity is a thing I choose to stay as far as I can away from it. That’s not to imply I don’t find myself ankle deep in it ((I make it my business to be aware of the onset of stupidity) from time to time. 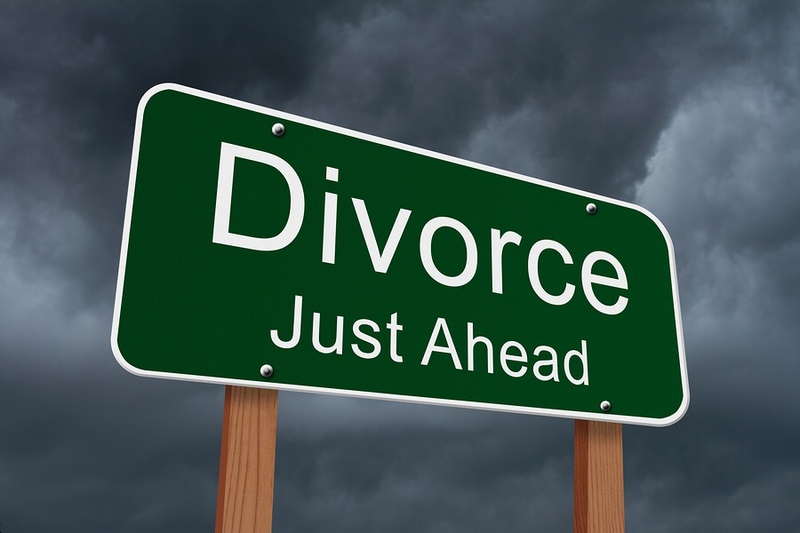 While divorce can signify to you a plethora of emotions and feelings, neither has to have a negative impact on you…Ok…maybe it does… who the hell am I trying to kid? Myself? Anyone who either has gone through a divorce or is currently going through one knows it’s NOTHING like a breakup! What an individual who has never been married is incapable of is understanding that when you are married there is this false sense of foreverness. Very rarely does one go into a non matrimonial type relationship with the intentions of “making it work”. More often than not, they are “seeing where it goes“. I can remember the very moment my marriage ended. For me, not only did it end with a blink of an eye, but the “end” of it seemed like it would never come 💨fast enough 😖. Between my current reality and the thoughts that followed, life was a thing I so desperately wanted to escape from. Suicide was my only way out. But guilt prevented me from following through. You know…there’s something to this energy we call guilt. Looking back I realize guilt is a force of nature that can right wrongs. With hindsight being what it is (perfect vision AFTER the fact) I am happy to say I am extremely grateful I didn’t take that route. For if I had, I wouldn’t be able to experience a life so magically delicious today. However, none of this could have happened without me going from a seeker of services for my needs to being a source of solution for the needs of others. I’ve always known I had a gift for expression. Plus, I would find creative ways to do so. Whether it was through writing, public speaking or vlogging, expressing myself seemed to be a natural born talent. While I may have been good at it, that never stopped fear from rearing its ugly head. Before getting started it would take me months (and sometimes a year) to work up the courage to put myself out there to be scrutinized by the world. But once I did I’ve came to learn no one but me was scrutinizing me. In fact, I was met with encouragement to keep on keeping on — — and I did! The key to my healing was finding purpose for my pain. And the purpose I’ve discovered is that hurting people hurts people. No one who is happy goes around hurting people. In fact, they do the opposite. Happy people brings joy and laughter. I knew at that moment I had to get happy and quick! What helped me heal was knowing I am a good person. I was worthy of happiness, success and peace. I recognized how resilient I truly was. But most importantly, I wasn’t a quitter. I persevered and moved on. I began working with a mentor and let me tell you, it is a life changing experience. Without him who knows where I would be today. But wherever, it is I can guarantee it would be as magnificent as where I am now. That’s for sure. In working with him, I was able to build my prosperity consciousness, create my own way to live a dream I didn’t know about (teaching was nowhere near my to-do list to be on it), and coaching/mentoring others towards their dreams, desires and goals. I said all of that to say this, a divorce may be the end of your relationship with an individual but it is also the beginning of many doors opening for you for new experiences. Now you can focus on yourself…selfishly, without concerns for a spouse. This is when significant change takes place. You can utilize these moments allotted to consciously create a whole new person. You can freely become the type of individual you choose to be. How cool is that?! Sometimes you have to remove pieces of the old you to allow the new and improved you to blossom.